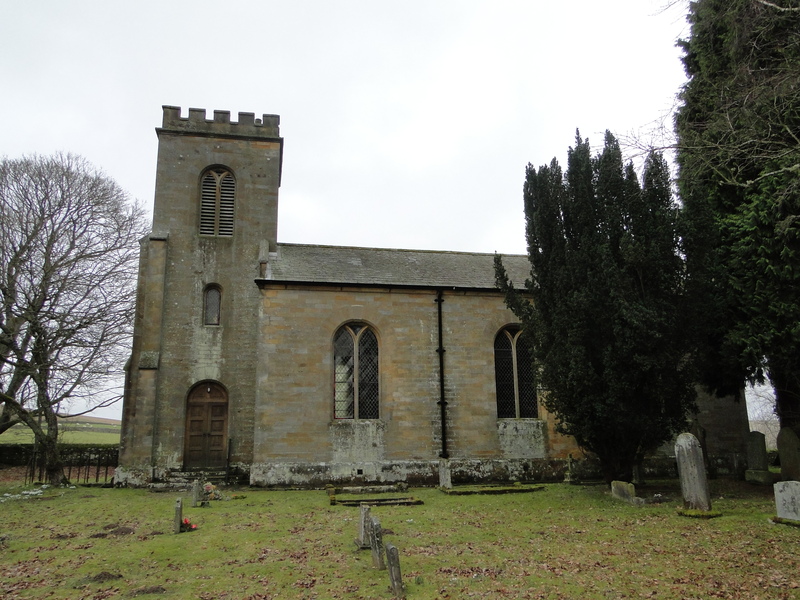 I’ve now found the website for the North Tyne and Redesdale churches – http://sites.google.com/site/ntyneredesdalechurches/home – it is not linked from the Newcastle Diocesan Website. Susan has a four-wheel drive car and we headed out of Bellingham along the North Tyne (and the line of the Border Counties’ Railway) to the village of Greenhaugh, which has a school but no church. Another mile or so, across Tarset Burn, to St Aidan’s church at Thorneyburn NY786876. Susan told me that in the snow she and her four-wheeler got through the snow to find two visitors had come to church – another local came when she heard the bell ringing, and one woman walked through the snow from village and got there in time to make the coffee. That’s dedication – I felt guilty that one of my churches had closed for three Sundays. Like Humshaugh, the church was built by the Greenwich Hospital Commissioners in 1818 to provide a living for Naval Chaplains after the Napoleonic War. What on earth did a retired naval chaplain make of being sent to the middle of nowhere – sorry, I’m using that phrase too often. It makes you wonder why they built so far from the village – presumably they owned a plot of land here, or it was cheap. 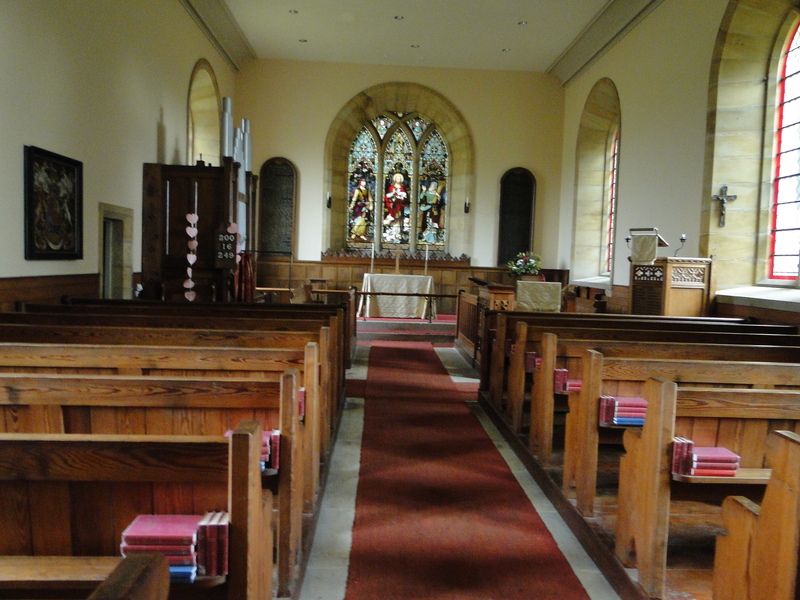 The original name was Draper Croft but, as the Commissioners had a Parliamentary Bill prepared for a parish elsewhere in the country called Thorneyburn and did not proceed to build it, they used the Bill and the name! 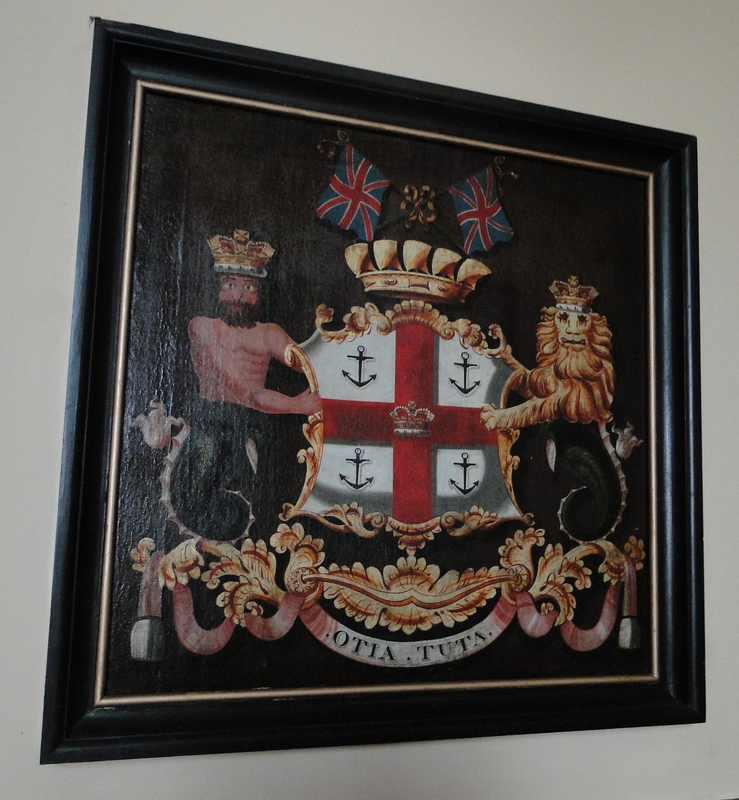 We assume these hatchments have a Greenwich link – Susan did refer to the “mermaids”, I pointed out the man with a beard was no maid! 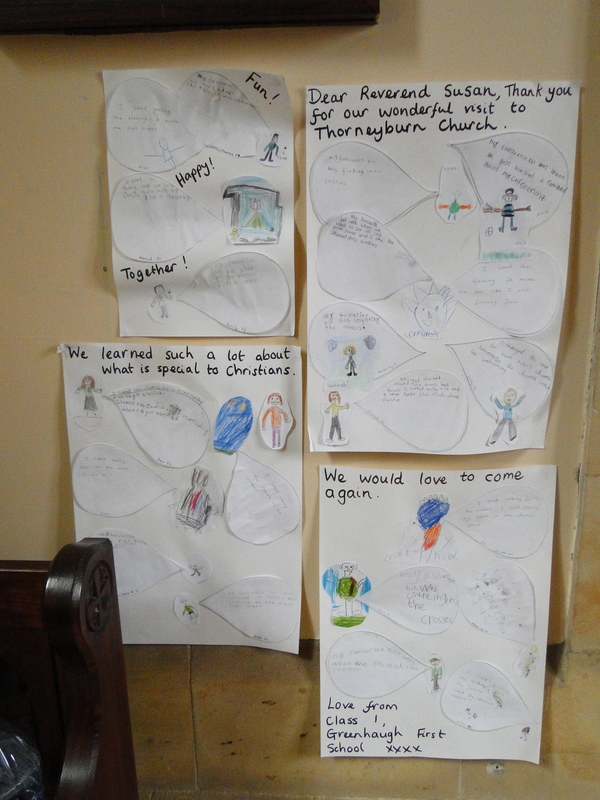 Susan says that the school walk to church a couple of times a year – they always arrive late as they stop to look at things en route – and there’s a lovely poster of their “thank you’s”. 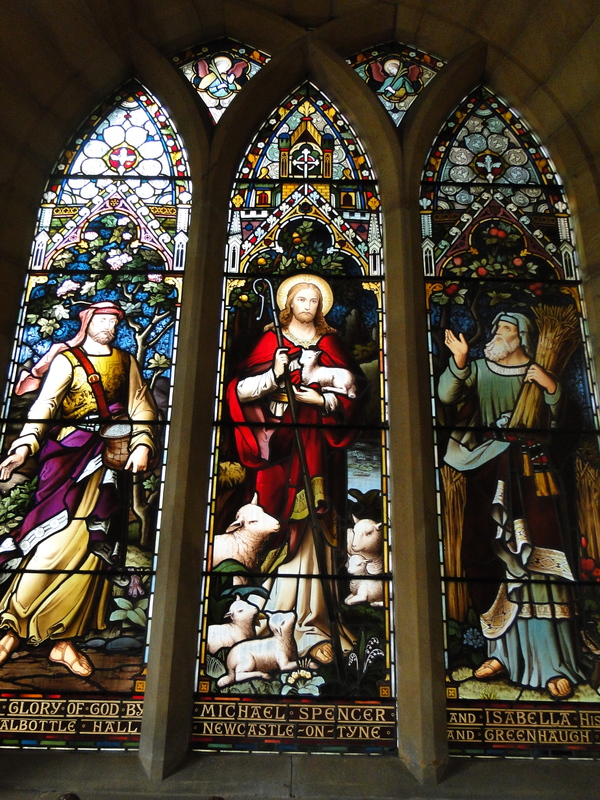 Also pictures of the annual lambing service. When the youngsters came in they understood sowing and reaping – and pointed out that sowing is in spring, reaping in autumn, and that the young man is sowing and the old man is reaping. Bet you hadn’t noticed that! Do you have any information on Rev. 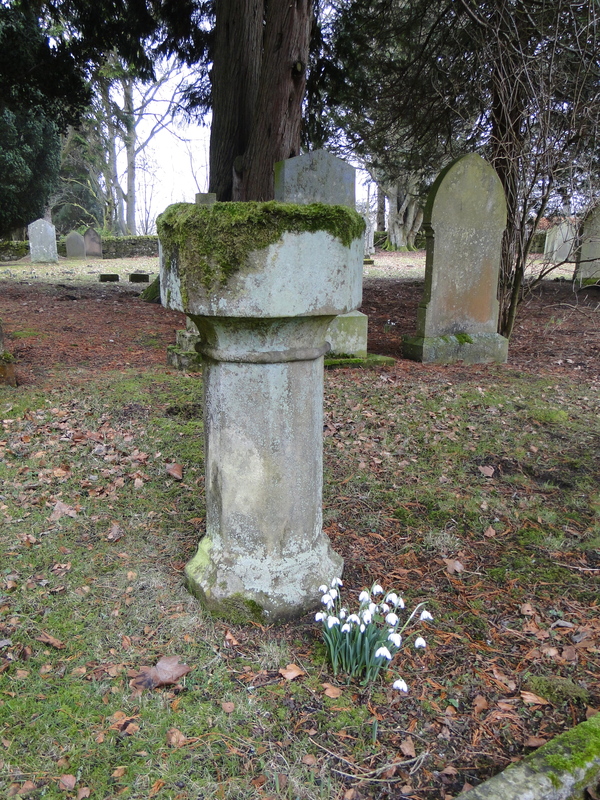 William Elliot, vicar of Thorneyburn February 1819 to June 1829, or know where I could find anything? I am researching his life on behalf of the RN Archives at Portsmouth, to which a journal of his years as a naval chaplain has recently been donated. 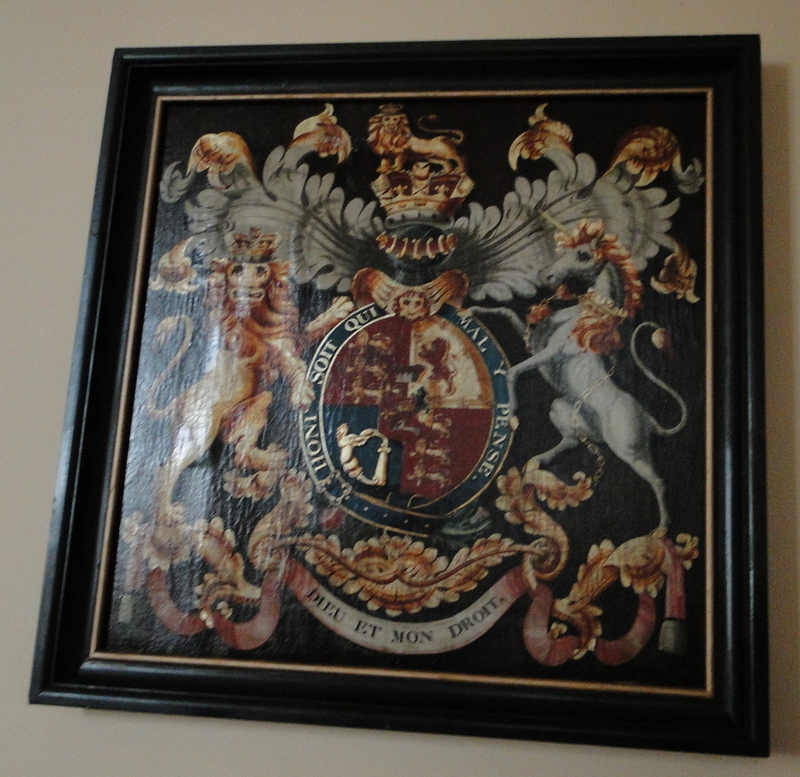 Any information most gratefully received!